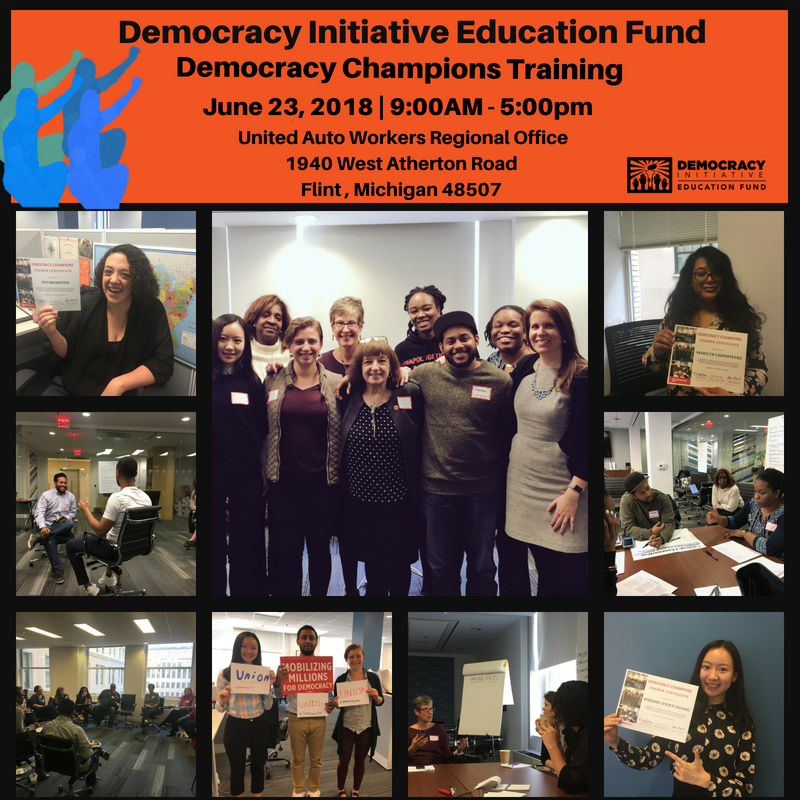 The Democracy Initiative will host a Democracy Champions Training in Flint, Michigan on June 23, 2018. Join forces with fellow activists to learn hard-hitting communication skills and listening strategies. Dig into the connections between the fight for democracy and today’s most pressing social issues—from environmental justice to the fight against racism and hate, from workers’ rights to issues within the LGBTQ community. The Democracy Initiative is a dynamic coalition of 69 partner organizations, united by a shared vision for a political process that counts every voice and vote equally so that we can win clean water, workers’ rights, a fair justice system, a strong education system and more. Visit the Democracy Initiative website here!